Этот мультфильм о сладких иллюзиях и горьких разочарованиях этого неоднозначного праздника у пузатой мелочи (peanuts), об умении не унывать и держать удар и о том, что все когда-нибудь обязательно будет хорошо. 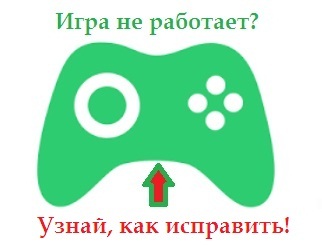 А как же иначе? Мультфильм рекомендуется для продолжающей группы, его можно смотреть с английскими субтитрами или без субтитров, иногда, при необходимости подглядывая в текст. Видео про Чарли Брауна размещены в социальной сете ВКонтакте, которая для их просмотра требует, чтобы пользователь был у них авторизован. Если видео не работает, пожалуйста, ⇚ авторизуйтесь и обновите эту страницу (клавиша F5 в браузере). Прокручивайте вниз ↓ чтобы смотреть видео и подсмотреть, если необходимо, английский текст. What are you doing, Charlie Brown? – Oh, well, good luck. You didn’t have to say that! She said my name. Did you hear that? Did you hear how she said my name? Of course she said your name. She was calling the roll. But it’s more than that. I feel that Miss Othmar really likes me. Don’t be ridiculous. To her, you’re just another student. On the contrary, I have the feeling I’m somebody special. You want me to pound the erasers? Yes, Miss Othmar. I’d be glad to. See? I told you. Miss Othmar must like me. It’s a privilege to be selected to pound erasers. Some privilege. This is a privilege and an honor. I could die from all this honor. I think I could spend my whole life here, and still never get a valentine. I’ll get Miss Othmar the biggest valentine there is! That’ll show her how I feel about her. It says here that it is probable… that the valentine was the first of all greeting cards. The paper valentine dates from the 16th century. By 1800, hand-plated copper plates were produced to meet the large demand. Get it, Schroeder? To make the large demand for valentine? Originally, Valentine’s Day was set aside as a lovers’ festival. Oh, Schroeder, isn’t that romantic? A lovers’ festival. Sometimes I think you don’t realize that you could lose me. Are you sure you want to suffer the tortures of a memory of a lost love? Do you know the tortures of the memory of a lost love? It will haunt you night and day! You’ll wake up at night screaming! You can’t eat! You can’t sleep! You’ll hate yourself and the world and everybody in it! Are you sure you want to risk losing me? Wow, a heart-shaped box of candy. I’m buying a valentine for Miss Othmar, my teacher. It’s kind of expensive, isn’t it? The amount of money that you spend on a present should be in direct proportion… to the amount of affection that you have for that person. You’d better be careful, Linus. It’s not a good idea to fall in love with your teacher. I didn’t say I was in love with her. I merely said I’m very fond of the ground on which she walks. Well, I have a problem too. What do you give a man teacher for Valentine’s Day? Do you have any heart-shaped shaving lotion? – Did you see that? Did you see what Linus bought for me for a Valentine’s Day present? I’ll have to get him a good present too. What can a girl get a young man that would be appropriate? How about a bottle of heart-shaped shaving lotion? No, I said popcorn, please. Would you please just give me some popcorn? Today’s drama is a love story. Theirs was a true love. The adventure began when they set off for the castle in their horse-drawn carriage. Wrapped in great coats, and warm furs, the lovers held hands. Have you ever been to one of these shows before? Then perhaps I should warn you about this first scene. When the carriage crosses the swollen river. Through the forest raced the lovers in their carriage. – How do you like the show so far? – It’s pretty good, I guess. Across the bridge and up the muddy road. Down the road and through the canyon. Suddenly the earth rumbled. It was an avalanche! Are you sure you want to see the rest of the show? What can happen that is worse? – … and it began to rain. Hey, there’s another performance this evening. Remind me not to come. Each pupil will bring the valentines that he wants to give… and will drop them in this box. I have a question. Do they have to be store-bought or can they be homemade? If you think you can make your own, by all means, please feel free to do so. I agree. Sometimes if you really like someone… a homemade valentine is very special. Boy, here’s my chance to get a valentine. In this big class, somebody is sure to give me a valentine. I can’t do it, I just can’t do it! I can’t fold anything, I can’t cut anything, I don’t know how to paste! – What’s the trouble, Sally? – I’m trying to make Linus a valentine. You should see the big box of candy that he bought me. I’ve gotta give him something that’s just as good. Why don’t you make him a valentine with your own hands? What do you think I’ve been trying to do? I can’t even draw a good heart. Well, that is something you can do too, Sally. Let me try. Okay. Everybody put your valentines in the box. Then we’ll have our party and refreshments. Did you see my name on any of those valentines? No. I haven’t been paying any attention. – What’s that briefcase for? – Well, in case I get a lot of valentines… I want to have something to carry them in. I can’t get my valentine in the box. Is it all right if I give it personally? Miss Othmar, is it okay if Linus presents his valentine personally? She says it would be delightful. She said it would be delightful! This is gonna be better than I expected. Psst. Linus. I made it especially for you. What happened? He forgot to give me my box of candy. He’s bashful. Ooh, I’ll get him later with a big smooch. I wonder if one briefcase will be enough. Maybe I should have brought another one. Okay, okay. If you all sit down, we’ll start passing out the valentines. One for Lucy and one for Violet. One for Pigpen, one for Laura, and one for Phil. One big one for Tom. One for Sally and one for Frieda. One for Lee and one for Joanne. Joanne Lansing. Where is she? One for Evelyn, one for Pat. – Let’s see. Here’s one for Franklin. – Hey. How about one for Charlie Brown? No, Charlie Brown, not yet. I haven’t seen your name yet. One for Amy, and one for Jill. Where’s Jill? One for Linda and Sam. Where’s Sam? – Has there been a mistake? Look at that. Charlie Brown still hasn’t received a valentine. Did anyone send Charlie Brown a valentine? Who would waste a valentine on stupid old Charlie Brown? Well, that’s it. Happy Valentine’s Day, everybody. Refreshments will be served in the back. Are you sure there’s none for me? Here’s my chance. I’d better give Miss Othmar her Valentine’s present. If you’re looking for Miss Othmar, she’s gone. – She left a minute ago for the parking lot. Here comes Linus and the candy box. This is the big moment. My lover-boy approaches with my valentine. I think I’ll pucker up. What happened? Where is he? Perhaps he didn’t see me. I had my eyes closed and he didn’t see me. And my box of candy. He still has my box of candy! Where’s he going with it? Hey, you know that shaving lotion you advised me to buy for my teacher? I forgot he wears a beard. Excuse me, pardon me please. Hey, where are you going with your box of candy? I can’t talk now, Miss Othmar’s leaving. There he goes after Miss Othmar. I just saw her go by with her boyfriend. Look at him, he’s running to the parking lot. To Miss Othmar’s car. With my box of candy. And there’s Miss Othmar with her boyfriend. Boy, what will he do now? He’s just a crazy mixed-up kid. I spent all my money. I made a fool of myself. This one is for love! And this one is for valentines! This one is for romance! This one is for Elizabeth Barrett Browning! Well, another Valentine’s Day has come and gone. I’d give anything if that Little Red-Haired Girl had sent me a valentine. Hey, maybe she did send me one. Maybe she did send me a valentine and it didn’t get here till today! Maybe it’s in our mailbox right now! I’m afraid to look. If I look, and there’s nothing there, I’ll be crushed. On the other hand, if she did send me a valentine… I’ve got to look! 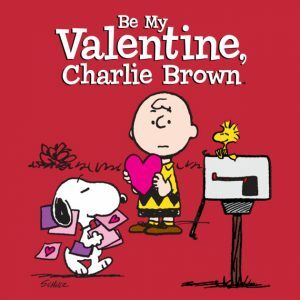 Charlie Brown, we’ve been feeling awfully guilty about… not giving you a valentine this year. Here. I’ve erased my name from this one. – I’d like you to have it. Don’t listen to him. I’ll take it. I guess I let Schroeder down, but it was my first valentine, you know. I didn’t do too well, either. Miss Othmar went off with her boyfriend. She never even knew I had a valentine’s gift for her. Well, maybe it wasn’t a total flop for me. At least they were showing little thought for me.Even if it was a used valentine. At least they care a little bit about me. Happy Valentine’s Day, Charlie Brown. Вы мне напомнили и навели меня на мысль, что если я публикую мультфильмы во ВКонтакте, а сеть ВКонтакте иногда их блокирует, показывает только залогиненым пользователям, то мне лучше разместить на сайте (прямо в статье) форму для логина во ВКонтакте.